No matter who you are or where you’re from, clean water is essential to your daily life. Always has been, always will be. And yet it’s easy to take for granted. Most of us don’t think much about where our water is coming from or worry about its cleanliness on a daily basis. I must admit I’m biased coming from the Sea Grant world, but I was a bit surprised at how little the topic came up in the Futuring discussions at Annual Conference. Obviously things like economics and education will continue to be drivers of society. But to be able to focus on those major pillars, we need to continue to improve the management of our water resources. If you have questions on anything Lake Erie related, Ohio Sea Grant has you covered. We’ve recently been in the news for our work on things like harmful algae blooms (HABs) and phosphorus, but we’ve also been hard at work battling aquatic invasive species, creating resilient communities and engaging the next generation of environmental leaders. Personally, I’m currently focused on the Sustainable Fisheries aspect. 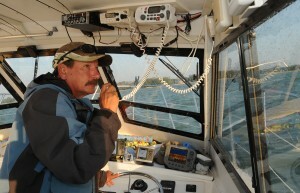 There are over 650 charter boat captains licensed to fish on Ohio’s Lake Erie, and for many of them fishing is a way of life. 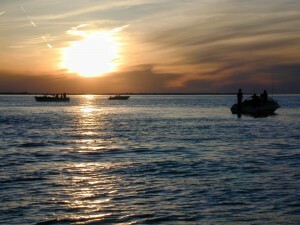 Ohio’s charter boat fleet is the largest in the Great Lakes and one of the largest in the world. That fleet is a major economic driver for Ohio’s coastal economies, and a healthy Lake Erie is essential to their success. We partner with Lake Erie charter captains on a variety of programs throughout the year from youth fishing programs to monitoring HABs. The longest running example is the Annual Ohio Charter Captains Conference. The program covers laws and requirements, fisheries management, best business practices, new technology and equipment, and the health of Lake Erie. We typically see 25% of the licensed captains in attendance, and 74% of responding captains in 2014 stated that information from the conference will help to keep their business going or advance professionally. The 34th Annual Ohio Charter Captains Conference is scheduled for March 7, 2015 at BGSU Firelands Campus in Huron, Ohio. Contact me (gabriel.78@osu.edu) to learn more about the conference or to ask any questions regarding Lake Erie. For information on Ohio Sea Grant visit ohioseagrant.osu.edu. Have a happy holiday season, and enjoy the water! People First. Employment First. A Promising Model Unfolds. People with disabilities are the nation’s largest minority and cross all racial, gender, educational and socioeconomic lines. Throughout history, people with disabilities have been subject to prejudice, stereotyping and discrimination. These experiences have occurred in many venues, especially in the workplace. In a recent study (Mansour, 2009), 40% of people with disabilities have said they have encountered job discrimination, and 33% have reported encountering “unfavorable attitudes” while on the job. For individuals who experience developmental disabilities, these negative realities coupled with high rates of unemployment and underemployment often result in isolation, exclusion and feelings of not being valued. However, progress has been made over the past several decades to improve legislation, policy, practice and attitudes for individuals with disabilities so that they might have better access to integrated and competitive (community) employment. In Ohio, the Governor’s Employment First initiative furthers this vision of community employment for individuals with developmental disabilities by creating a new culture that values every person as having abilities, skills and talents to enrich communities and providing them opportunities to explore career options and seek jobs that fit their skills and interests. An integral component to this new culture is assuring that relevant training and education exists to prepare individuals with developmental disabilities for their desired careers and available jobs. In Greater Cleveland, where traditional sources of employment for people with disabilities are shrinking rapidly, entrepreneurial ventures in the booming local foods and urban agriculture movement hold much promise in providing hands-on training and creating new jobs in the community. Cleveland Crops is one such example of this promising model. The Cuyahoga County Board of Developmental Disabilities, along with its nonprofit affiliate, SAW, Inc., and with support and technical assistance from Ohio State University Extension, has turned to entrepreneurship as a new avenue for community employment opportunities for nearly 100 of the Board’s adult consumers, many of whom have struggled to find meaningful, integrated jobs. Cleveland Crops is an agriculture and food processing training and employment program designed to create innovative work opportunities and new career choices for adults with developmental disabilities. Through the development of several urban farms and a 5,000 square foot Food Innovation Center that supports consumers in producing food products and co-packing for others, Cleveland Crops is an entrepreneurial and promising model in achieving the goals of the Employment First initiative by providing training and education on the skills needed for jobs (community employment) within the robust, local food economy. Its integrated approach of learning in the community is also significant in fostering inclusion and valuing diversity as a positive influence. 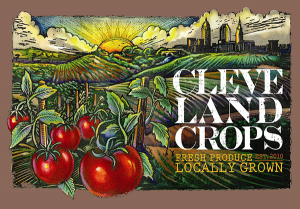 Click here to learn more about Cleveland Crops. At some point, even the most successful teams, organizations, and agencies of any type (public, private, non-profit, etc.) face seemingly insurmountable barriers to growth and success. And, their inability to recognize the barrier can sometimes be part of the problem. 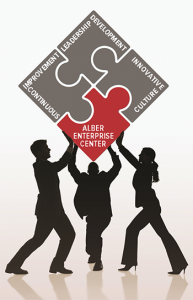 The Alber Enterprise Center (AEC) has been providing organization development consulting for employers throughout Ohio (and beyond) since 1996. AEC is a business outreach service of The Ohio State University and OSU Extension based on the Marion campus of OSU. 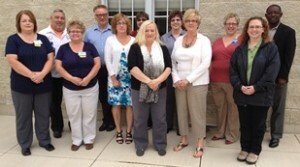 Their staff develop customized plans to help teams of all sizes reach their potential. Learn more about their services, including the BRIDGE program at the new AEC website. Encourage the teams, organizations, agencies and businesses in your community to check out the new on-line course catalog too. Contact the Alber Center at alber.osu.edu/index.php/en/contact-us. Whether you are looking for gainful employment and career advancement or you are seeking highly qualified and motivated associates for your business, finding the right fit is key. The new OhioMeansJobs website is designed to assist employers in broadening their choices and gaining access to the large pool of data of potential employees from the State of Ohio. The Fayette County Chamber of Commerce, Fayette County Jobs and Family Services, Southern State Community College and the OhioMeansJobs local office provided support for the training.